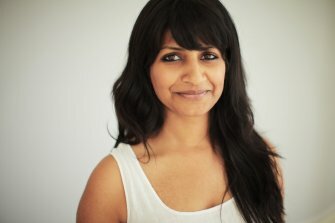 Surabhi Saraf, artista attiva tra San Francisco e Chicago, opera con i nuovi media e sperimenta l'uso della voce e la produzione noise, legando insieme componenti della sound art più sperimentale, con la musica classica, la coreografia e la videoarte. Formatasi con le tecniche della musica classica indiana, utilizza la voce mixata a suoni e rumori quotidiani, in lavori video e installazioni presentati in festival e gallerie statunitensi, europee e indiane. Surabhi Saraf is a new media artist, singer and noise maker whose work brings together elements from experimental sound art, classical music, choreography and video art. She takes a compositional approach, punctuating her works by events and moments choreographed in time. Surabhi has a background in Indian classical singing and has used her voice in concert with familiar daily sounds in her recent video installations and live performances. Her works attempt to accentuate the audience experience, ranging from the subtle and pleasant, to the powerful and overwhelming. Surabhi’s works have been shown in various galleries and festivals in New York, Berlin, Chicago and India. She graduated from the School of the Art Institute of Chicago in 2009 with an MFA in Art and Technology. Surabhi currently lives and works in San Francisco.